Coffee stains can be stubborn little things, but the right knowledge can see your carpets looking their best and brightest again. Dang, there’s coffee on the carpet — this is so not what you needed today. It’s easy to lose heart. It’s easy to panic and hit the stores around Lisle and Wheaton in the hope of a magic cleaning solution. But there is hope. Coffee is one of the most persistent stains, and it’s even been revealed that some manufacturers add darkening dyes to produce a “richer appearance.” Might make for a tall, dark, and handsome cup of joe, but it makes getting coffee stains out of your carpet that much harder. 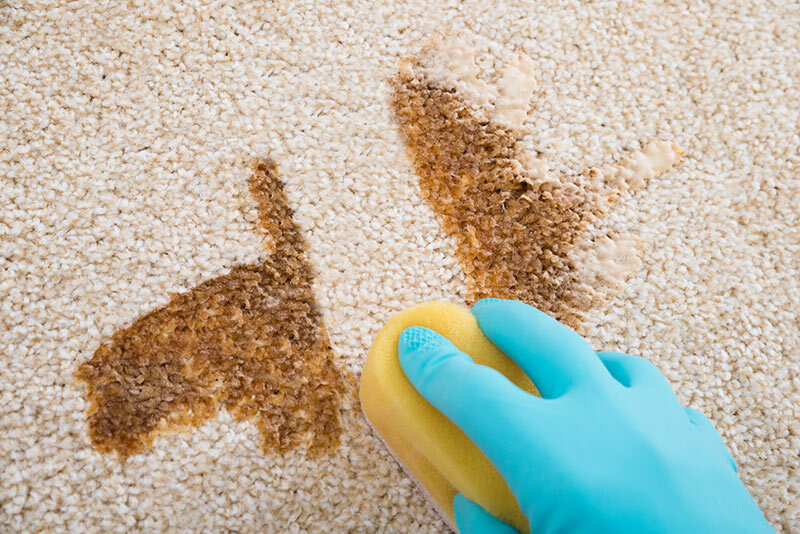 From basic carpet and rug cleaning to hot water extraction cleaning, we’re experts at making stains go away, but we’re also happy to let you in on how to remove those stains yourself. Every second counts when it comes to removing coffee stains — you’ll want to get moving in a hurry to prevent the stain from spreading wider and soaking deeper. Use a piece of clean white cloth to blot up as much as you can. Keep using clean sections to make sure as much coffee as possible is soaked up. Pouring a small amount of cold water onto the affected area can help by diluting the coffee, but don’t oversaturate the carpet. Work from the outside of the stain towards the middle to prevent it from spreading, and press downward instead of scrubbing to protect the fibers. When you’re done, you can use a carpet stain remover to get rid of any lingering marks. Maybe you need to rid your carpet of a coffee stain that has been around for a while. The bad news is that this is going to be harder, but the good news is that the process is just as straightforward. Just use the same method described above, but treat the stain before getting started by lightly wetting the area. Keep in mind that the process will take a lot longer. In some cases, you’ll need extra cleaning firepower. For wool or wool blends, try adding three drops of mild washing-up liquid to a cup of water and blotting with that. If your carpet isn’t wool, try adding a tablespoon of ammonia to a cup of water, but make sure you test a hidden spot to be sure it doesn’t cause any color changes. If your coffee stain does require steam cleaning, there’s no better team than the one here at Russell Martin Carpet and rugs. We’ve been helping people out across Naperville, Lisle, and Wheaton since way back in 1957, so don’t hesitate to request an appointment today.